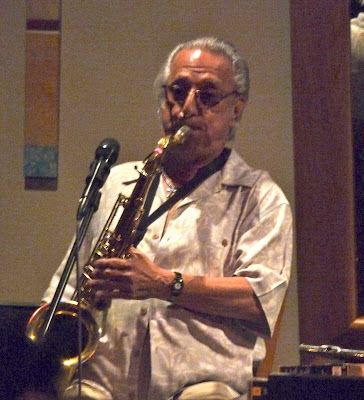 Bass player Bill Saitta's current group includes Drummer Jay Lewis, Sax Player Craig Yancey and Guitar player James Moody. 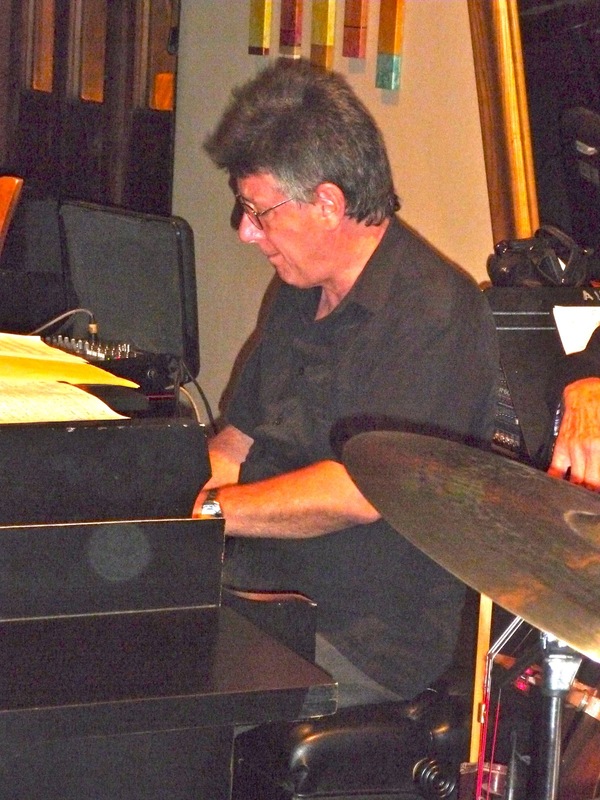 These four finely tuned veteran musicians are producing some of the best Jazz sounds in the valley these days on Tuesdays at Backstreet Bistro. I have been listening to Bill Saitta play bass and sing for the last couple of years and each time I heard Bill I hear something new and better than the last time I heard him. 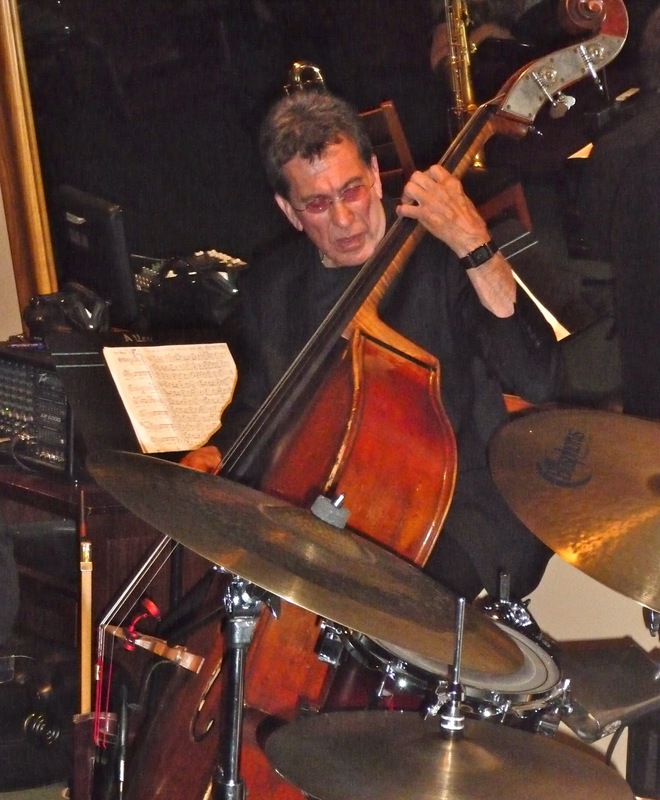 Bill Saitta is not just a great stand up Bass player, he is a student of his trade. Bill is always pushing the envelope when he plays and sings, never satisfied with the status quo of music. He is always looking for better ways to approach his trade. He is playing better than ever and he has worked very hard over the last year or two to improve his singing skills. The results are impressive in both areas. Even though Bill is a master musician, he continues to reach out to other talented musicians to help them get work and book gigs. Finally, Bill is one of the few musicians I have know that has applied sound business principles and planning to his trade. I believe this business planning has played a key role in Bill's successful career. Tonight was the first time I got to hear Craig Yancey play sax and I was very impressed. His solos were imaginative and tight. But the quality I liked the most about Craig was the way he projected his love for performing and playing Jazz. Can't wait to hear more of Craig Yancey. There were two excellent musicians that Bill call up to perform this night, First, Jeanie Munro delighted the audience with some great singing. I understand that Jeanie is getting married soon and wish her much happiness. I hope I can hear more from her in the future. Next, 13 year old Chase Huna came up to join Bill's quartet playing his soprano sax. Chase regularly sits in with many groups in the Desert and it is just remarkable how much he improves each time I get to hear him. Tonight he played a couple of song with the band including a version of Ellington's "Take The A Train" that just cooked! This particular Bill Saitta group plays at Backstreet a couple of Tuesdays every month. If you love Jazz, call Backstreet Bistro to find out when the group will be appearing again and be sure to make a reservation as Bill usually sells out the space. Pre-Release CD Review: Phil Lee's "The Fall and Further Decline of The Mighty King of Love"
Let's start by stating that Phil Lee is a classic "Damon Runyon" character in every sense of the word. His resume reads like the script from an old Western film. He has done it all, playing drums, driving trucks, riding motorcycles, hauling equipment and also found time for stealing hearts, eluding authorities and raising Cain. Phil Lee's life experiences are important because they explain why he is such an amazing songwriter. The songs on Phil's new CD are new, fresh and real. They tell stories that we can relate to in one way or another. Only someone who has experienced these kinds of life experiences could write these great songs. Joy Lynn White, David Olney,Chris Wilson, "Concerned funeral attendees"
This CD was produced by Phil Lee's long time and loyal friend, Richard Bennett. Ken Steele, Ron Kalina and Gino Antonacia. Does anyone know those three guys in the background? 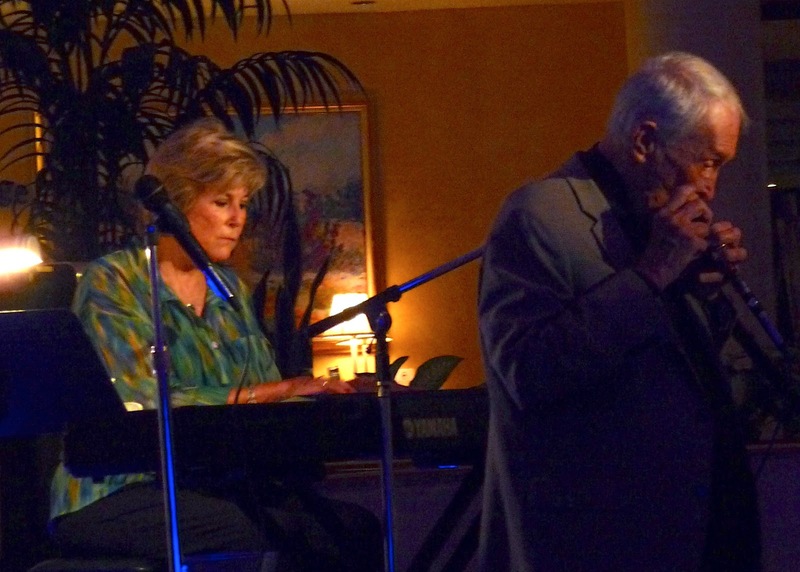 Ron Kalina's "Harmonica Convergence" continues to draw large crowds from all over the Valley on Tuesday nights at Frank's Place in the Indian Wells Resort Hotel. And it's no wonder, hearing Ron play Harmonica at levels few have ever reached is only part of the performance. 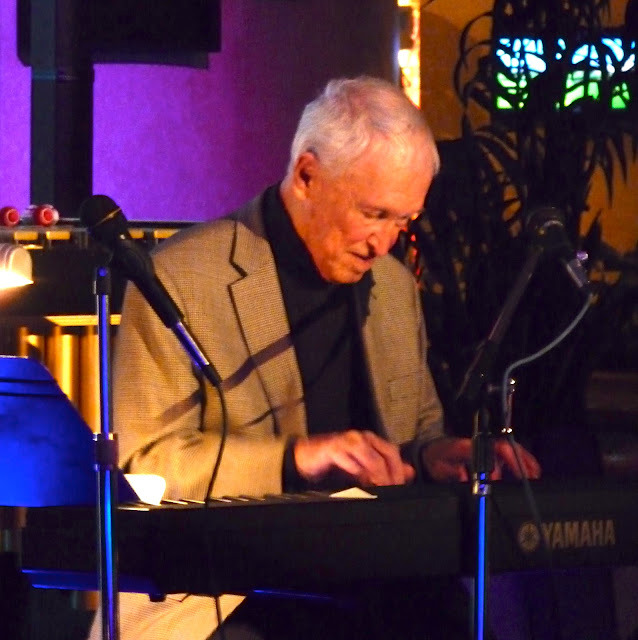 Ron also plays songs on Keyboard from the Great American Songbook as good as anyone. Believe it not, Ron sometimes plays Harmonica and Keyboard at the same time. There is no doubt that Ron Kalina is one of the best living Harmonica players in the country. What also surprises his audience is that Ron is an excellent singer. So he is a triple threat, plays Harmonica and Keyboard and sings! I love the sound of great songs being played on the Harmonica and Ron only choices the best of the best classic American standards to play. 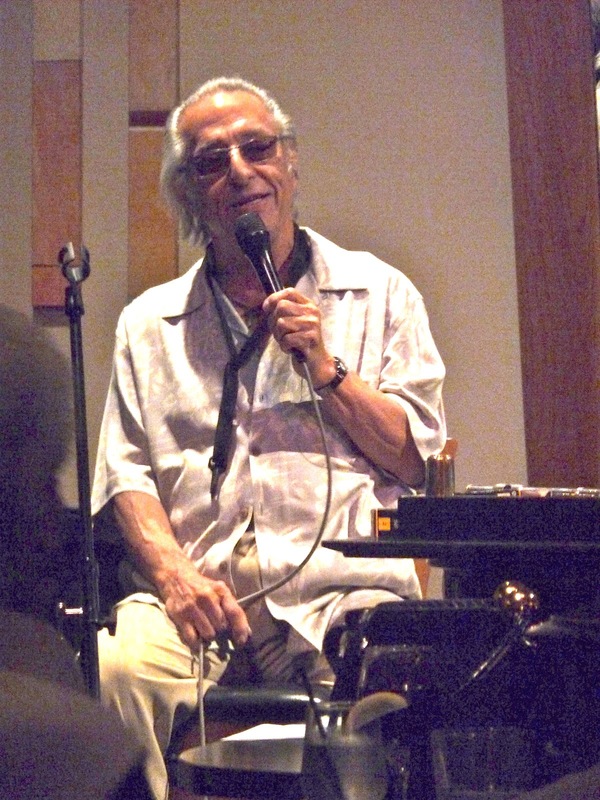 Tonight, Ron asked Judy Wolman who was in the audience to come up and play keyboard for Ron while he played "My Funny Valentine"on Harmonica. Together they made wonderful music for all of us. This classic played by every great musician from the beginning of time never sounded better! Part of the fun of live Jazz in the Desert is no matter where you go, you are sure to be surprised by someone in the audience stepping up to the mike to sit in with the band. Tonight was no exception as the Desert favorite Ken Steele was called up by Ron to sing a couple of songs. Ken has a wonderfully soft and glorious voice and a smooth style that always leaves the listener wanting to hear more. Right after Ken performed, another Desert favorite, Carole Hampton stepped up to sing a couple of her signature songs to the great delight of the audience. Carole has been under the weather for a while but it is clear from her performance tonight that she is back in her groove again! At the end of the evening, Rose Kingsley stepped up to the mike and sang for us. I just met Rose this evening and was so glad I got to hear her sing. Rose is the Artistic Director/Founder of the International Opera Institute. I look forward to hearing Rose sing some classical songs from Operas in the near future. Quite a display of talent in Frank's Place tonight but the icing on the cake was when the "Captain" of Frank's Place, Frank DiSalvo joined the group playing guitar and then singing a couple of songs with Ron's trio. Not everyone knows it, but Frank is largely responsible for getting the live music explosion started at the Indian Wells Resort Hotel. Frank, I would like to personally thank you on behalf of all of the great musicians here in the Valley for working selflessly to provide more venues for live jazz here in the Desert! 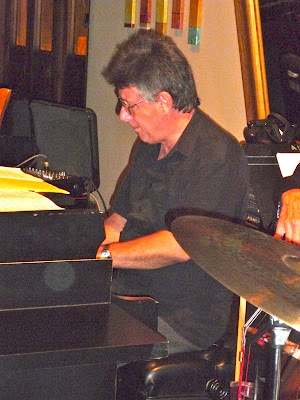 Ron Kalina's Trio appears every Tuesday from 6:00 to 9:00 at Frank's Place. Be sure to catch this wonderful musical experience and call Manny at 760-340-6466 ext. 7584 for reservations. There are a lot of musical treats here in the Desert, but Steve Madaio's wonderful Trumpet playing is certainly one of the finest gifts to Jazz lovers living here. He is a super star without the attitude. He will not offer any information about his illustrious career unless you ask him a direct question about his musical resume'. But those of us who have gotten to know Steve have discovered he has had an amazing musical life that includes performing with the greats of music over the past 40 years. He has recorded over 100 million selling CDs. Steve's career goes all the way back to Woodstock where he performed on stage alongside David Sandborn in the Butterfield Blues Band. He then toured with Janis Joplin. Steve was also part of two world tours with the Rolling Stones. He toured with Stevie Wonder, John Lennon, Bob Dylan,Bonnie Raitt, Madonna and Barbra Streisand. It is very likely that you have a favorite CD by one of these artists and Stevie is performing on it! 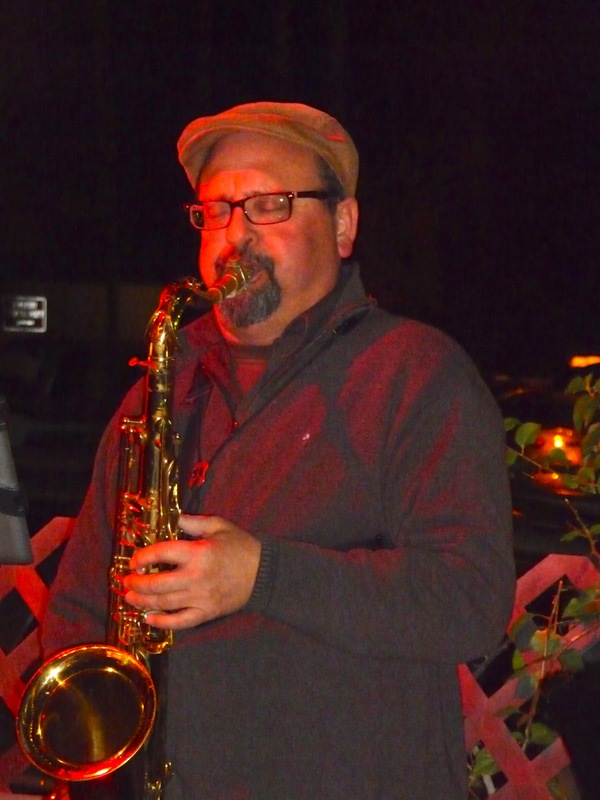 Steve usually plays at Backstreet Bistro at least once per month and it's really worth attending these appearances since Steve gets to play his favorite Jazz songs that are sure to be some of your favorites. Steve also does a Sunday Jazz performance every week at the Blu Ember Restaurant in Palm Desert. Supporting Steve this Tuesday night was Jay Lewis on drums. Jay is a perfect fit for Steve's style, always right on the beat and producing a soft rhythm behind Steve's Trumpet sounds. Blake White was on bass and continues to prove he is one of the best bass player in the Valley. James Moody was on guitar. This was the first time I heard James, and I was very impressed with his performance and look forward to hearing him more in the future. And for all you Madaio fans, Steve along with Tom Keenlyside have just recorded a new CD, "Slices" that is just outstanding. This CD is scheduled to be released within the next month, and this blog will do a review as soon as the CD is out. Also sitting in to play a few songs on his tenor was Chase Huna. The improvement in Chase's playing compared to last year was obvious. It is hard to believe that Chase is only 13 years old. Tonight he played good enough to star in his own Jazz group! CD: Pre-Release Review: Scott Ramminger "Advice From A Father To A Son"
A new CD from Scott Ramminger, "Advice From A Father To A Son" will bring happiness to any Blues fan especially those fans that like New Orleans Blues. Scott Ramminger is a singer/songwriter/sax man who has written 10 wonderful new songs for this CD and gathered a group of very talented musicians to perform them. 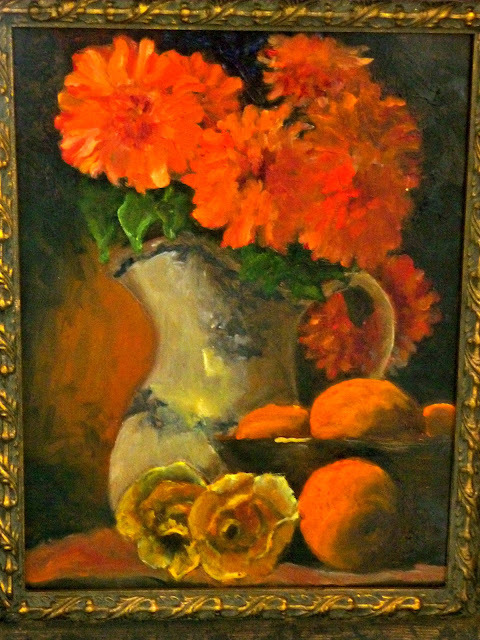 Scott is based in Washington DC, but grew up in Huntsville, Al with diverse musical influences. You can hear all of those influences in these 10 songs that are firmly rooted in New Orleans style Blues and yet, contain parts of R & B and good old Southern Rock and Roll. After listening to this CD a few times, it occurred to me that a lot of the songs on this CD would be perfect material for some of the Blues greats performing today. Not that he needs anyone to write material for him, but in my opinion, some of these songs fit the great Paul McCartney perfectly. Scott Ramminger is a major songwriting talent. According to Scott "Once I dug into the blues, I knew I had found my home base. But a lot of other music also informs my writing, singing and playing. That's one reason I really dig most anything that comes out of New Orleans. The Blues is at the heart of that music". Scott Ramminger has already won many awards for his playing and music writing but, in my opinion, there will be a lot more major awards coming his way as a result of this CD. This CD was produced by Scott Ramminger and Mike Harvey and will be released to the public on February 26, 2013.